Giving back to the community is important to us at AccuTour. Capturing Faith Farm Ministries in Boynton Beach was an honor. 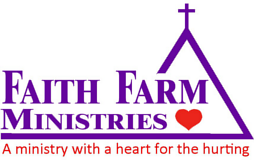 Faith Farm is so much more than just a thrift store. Did you know that Faith Farm’s program is 100% voluntary and is provided at no cost to their drug rehabilitation students?